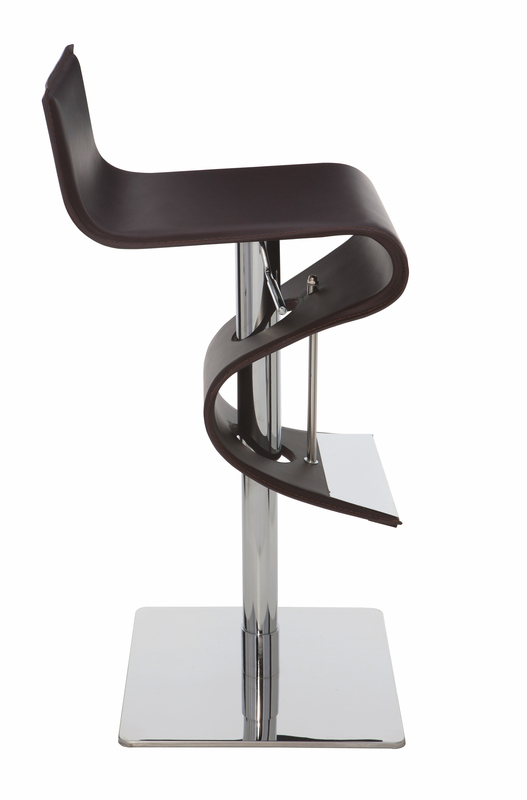 Portland Bar Stool is a groovy bar stool with a flowing shape that is both creative and sassy. Its flowing design adds a sense of fluidity and movement in any room, and is perfect for homes, restaurants, bars, cafes, and the like. 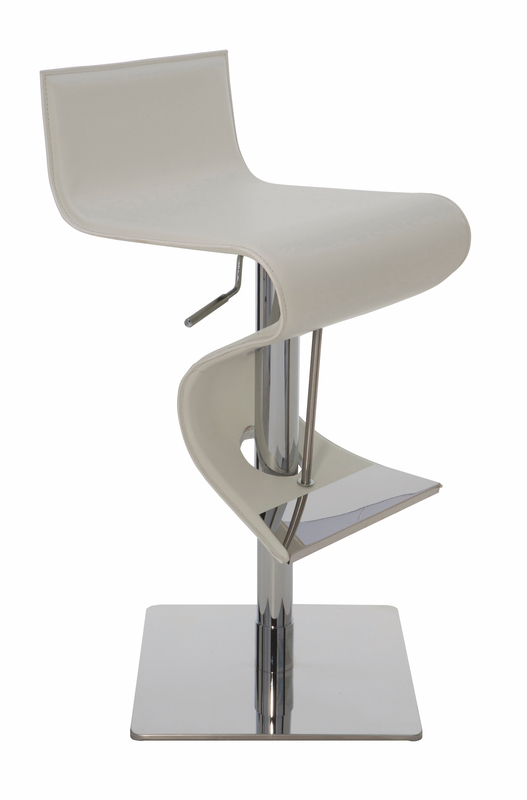 The Portland Bar Stool's back rest, seat, and foot rest all form one sleek, S-shaped piece. 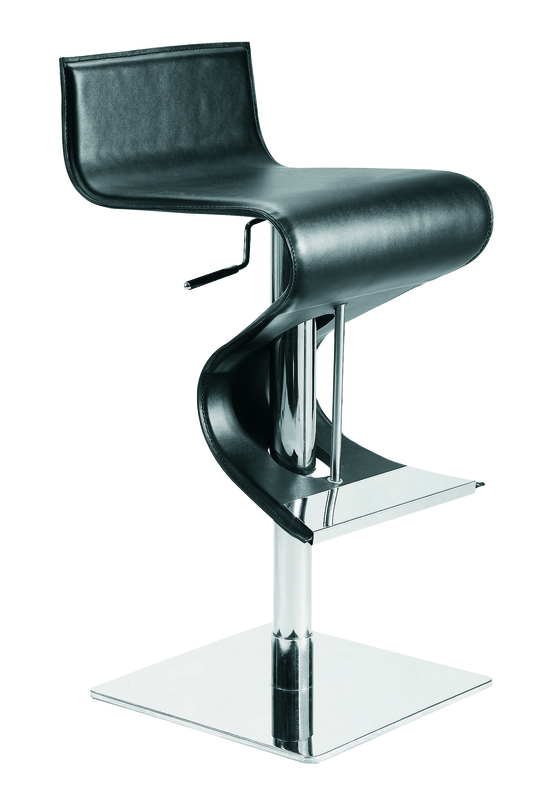 It features stainless steel frame and leather upholstery. 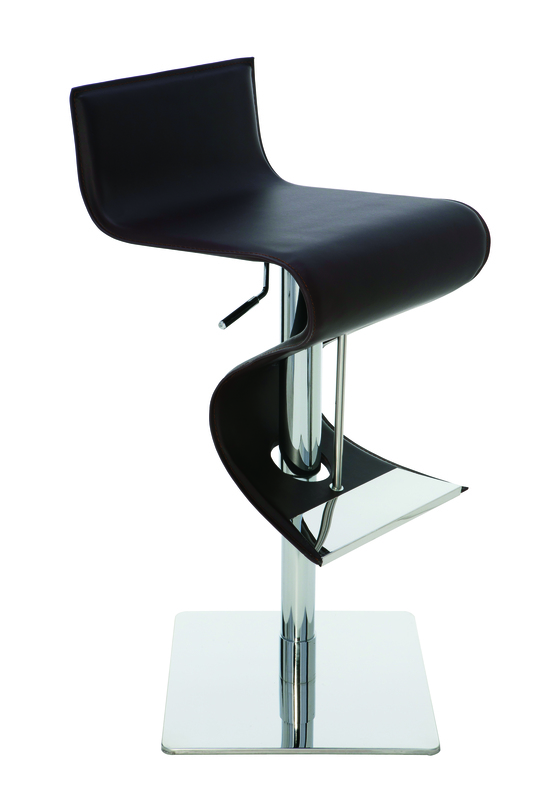 You can easily adjust the Portland stool from counter height to bar height with its gas lift mechanism. Adjust your designed height from 20" to 30.5"
-- Please Choose an Option --	17.25"W x 15.25"D x 26.5" - 37"H: Seat height: 20"-30.5"